Her areas of interest are performing complete diagnostic hearing testing on all age groups, evaluation and fitting of hearing aids, industrial screening, patient education concerning hearing loss and hearing protection. She donates time for community screenings, as well as hearing aids for low-income individuals. 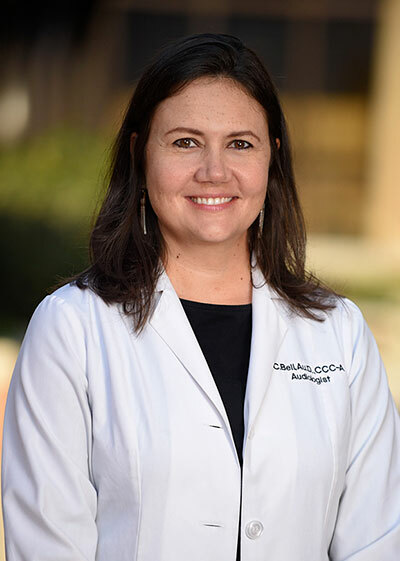 Dr. Bell holds her Certificate of Clinical Competence in Audiology as a member of ASHA and is a Fellow in the American Academy of Audiology. She is licensed by the State of Alabama in Audiology, and participates with the Hear Now program.